FINISH: Patrick came to us via a recommendation from wheelbuilder, Murray. In addition, his partner booked his project in for him via our GiftCard scheme. This meant Pat simply had to come down, choose colours and let us know what he wanted. The main colour references came from Pat's favourite BMW blue. We chose complementing metallic hues and a RAL pink as a highlight. The headtube logo and downtube branding are something Pat wanted to tone down a little... and we did... in a way... they're picked out in a transluscent custom colour-shifting pink pearl and flake blend - in some lights it appears white, in some, the pink rings out and in others it's a rich metallic purple. 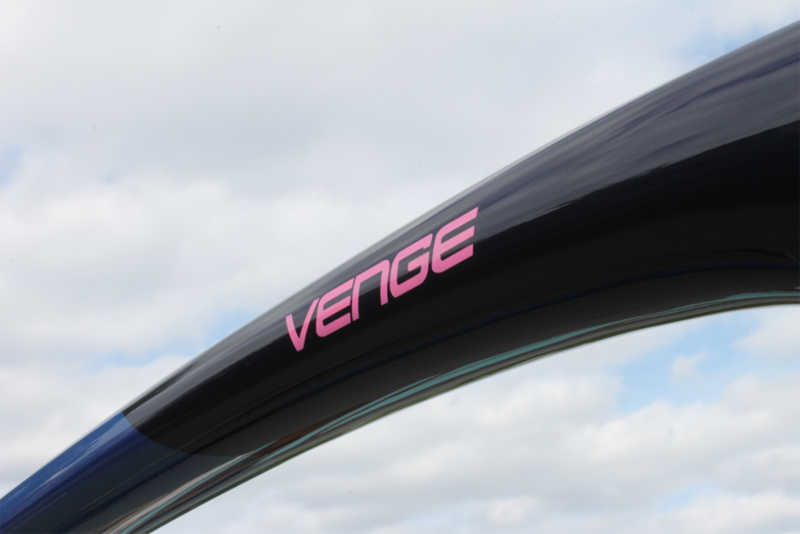 The colour blocks wrap and match around the oversized tubes of the frame and as has become a signature of framesets here, the inner fork blade colours burst out to wrap around the outer.